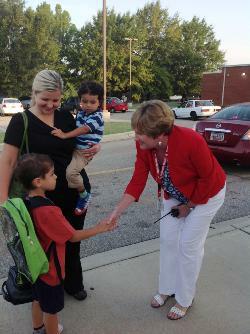 Students around the county returned last Wednesday as Chesterfield County Schools began the 2014-15 school year. Aug. 14 - A New Teacher Orientation was held at the Palmetto Learning Center on Tuesday, August 12th. There were 56 educators in attendance with approximately 35 new to the profession and the remainder new to the district. 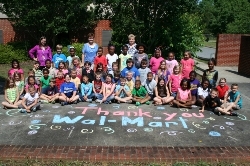 Toni Allison, Libby Baker, and Stephanie Ramirez, a 2nd/3rdgrade looping team at Jefferson Elementary School, accepted a grant from Wal-Mart Distribution #6073 in the amount of $2500.00. Cheraw Intermediate School has received the 2014-2015 School In-Service Training Grant for PreK-5 schools, granted by the National Council of Teachers of Mathematics (NCTM) through the Mathematics Education Trust (MET). 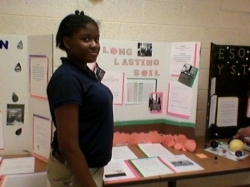 Middle school science students at Palmetto Learning Center participated in a Science Fair on May 26. Students from each grade level entered projects they had worked on in class.